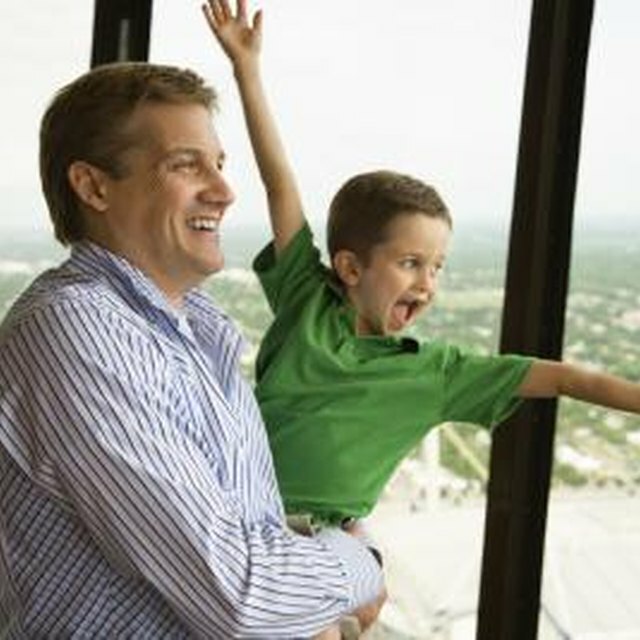 San Antonio has plenty of venues that will make your kid's birthday memorable. San Antonio, Texas, is probably best known for the Alamo but it offers so much more. San Antonio is home to the beautiful River Walk, art museums, jewelry makers and plenty of places for entertainment. If you are planning a kids’ birthday party in San Antonio your choices are endless. Whether you want something indoors or outdoors, low key or full of fun, San Antonio has the venue you are looking for. The San Antonio Children's Museum has three themed party rooms. Guests can choose from “Under the Sea,” “Jungle Adventure” and “A Bug's Eye View.” A birthday party at the museum includes a 1 1/2 hour party in one of the themed rooms, balloons, admission to the museum and a coordinator to help organize the party. The San Antonio Children's Museum features exhibits including an interactive play grocery store, a bubble ranch that allows kids to explore and make bubbles, an airplane runway simulation, make-your-own art activities and much more. Kiddie Park has been in operation since 1925, making it the oldest children's amusement park in America. The Kiddie Park features the park's carousel (built in 1918), a Ferris wheel, miniature boats and carnival games. The Kiddie Park offers birthday party packages that include a party coordinator, a 2 hour private table reservation in the park and unlimited carnival rides. Guests may bring their own food or pay extra for park-provided food. If you want to make it an extra special day you can even pay a flat fee and have the park shut down for your own private party. Ripley's Believe It or Not is a museum of oddities and Louis Tussaud's Waxworks. The Odditorium is three full floors of strange, interesting and unique exhibits. From the world's largest tire to 3,500 pounds of the Berlin Wall to a two-trunked elephant, Ripley's Believe It or Not is a great place for the imagination to run wild. Louis Tussaud's Waxworks is a collection of 250 life-like figures including famous movies stars, politicians and popular children's characters. Visitors can do a wax-hand dip at Waxworks and have a snack of hot dogs, popcorn and drinks in the snack bar. The Rollercade is an indoor skating rink that offers private and public birthday skating parties. Private and public skating parties include skate rentals and rink access, drinks, ice cream, games and entertainment; private parties are an additional fee. The Rollercade offers snacks and food for birthday parties or guests can bring in their own food.